All of the SQL databases used in Tethys Platform are PostregSQL databases. An excellent graphical client for PostgreSQL. It is available for Windows, OSX, and many Linux distributions. Please visit the Download page to learn how to install it for your particular operating system. 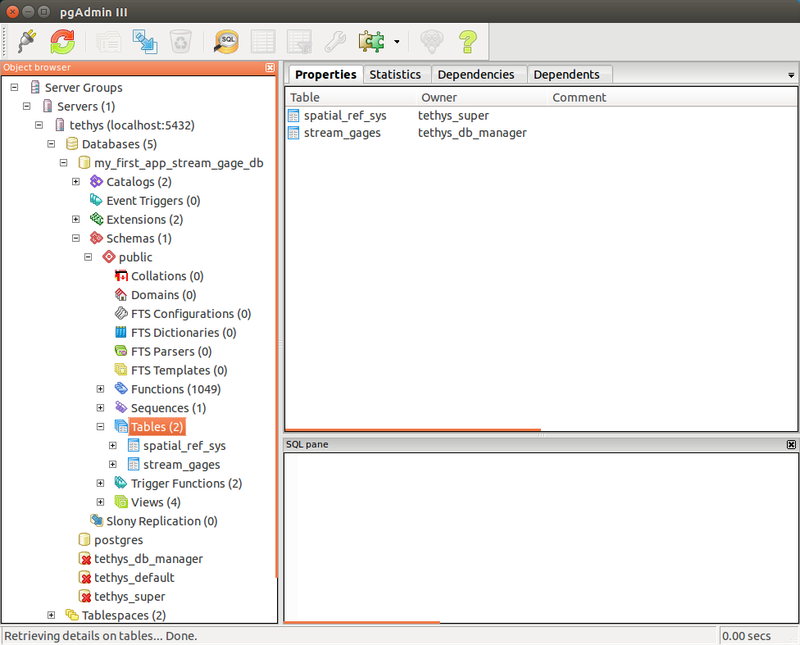 After it is installed, you can connect to your Tethys Platform databases by using the credentials for the tethys_super database user you defined during installation. 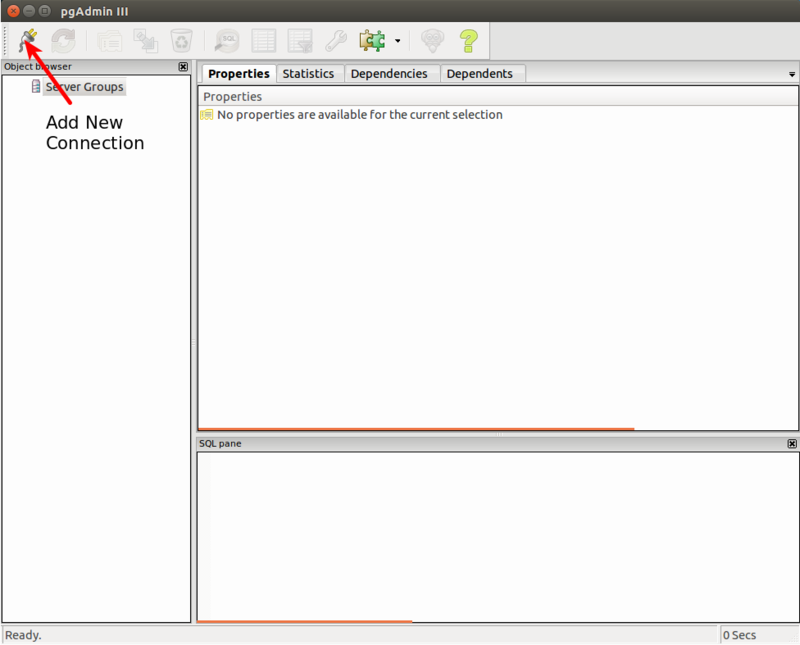 Open PGAdmin III and click on the Add New Connection button. Figure 1. Click the Add New Connection button. In the New Server Registration dialog that appears, fill out the form with the appropriate credentials. Provide a meaningful name for the connection like "tethys". If you have installed PostgreSQL with the Docker containers, the host will be either localhost if you are on Linux or 192.168.59.103 if you are on Mac or Windows. Use the tethys docker ip command to get the port for PostgreSQL (PostGIS). Fill in the username as tethys_super and enter the password you gave the user during installation. Click OK to close the window. Figure 2. Fill out the New Server Registration dialog. To connect to the PostgreSQL database server, double-click on the "tethys" connection listed under the Servers dropdown menu. You will see a list of the databases on the server. Expand the menus to view each database. The tables will be located under Schemas > public > Tables. Figure 3. Browse the databases using the graphical interface.